Austin Fay is the President of The Jet Pulverizer Company. 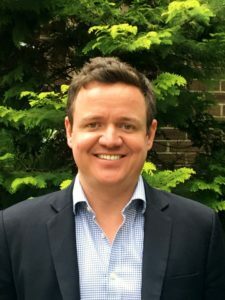 In this role, Austin provides leadership and expertise in all aspects of the business; from technical problem solving and team management to leading key customer interactions. Constantly looking to better serve Jet’s customers; Austin believes in continuous improvement through data analysis and change management focusing on quality, safety and customer satisfaction. Founded by his grandfather, Austin represents the third generation to lead The Jet Pulverizer Company. Austin capped a lifetime of informal micronization education with a degree in engineering at Drexel University. 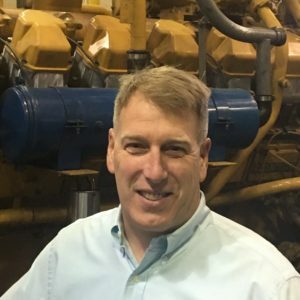 Austin rose to his current position after spending more than 10 years in various roles including size reduction equipment operator, toll processing manager, and leader in Jet Pulverizer’s Micron-Master® manufacturing division, where he learned the intricacies of micronization from all angles. Passionate about science and technology, Austin is proud to be part of a company that provides premier equipment and tolling services that promote and enable advancements in healthcare, energy storage, aerospace, clean energy and many more markets integral to the 21st century. Jeff Conn is the Vice President of our OEM department. 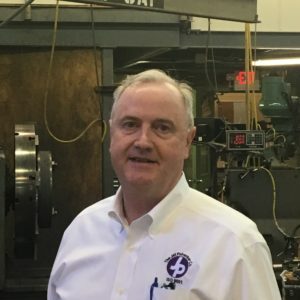 In this function, Jeff oversees new product development, product standardization and the service and parts division. His team is very engaged on the design, testing and performance of all new original equipment and post OEM sale. Jeff has been an engineer with Jet Pulverizer for 17 years. He comes from a materials background, having previously working for St Gobain and Kennametal Inc. 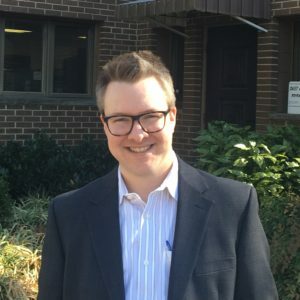 He has a BSME from Penn State University and attended engineering graduate school at Carnegie-Mellon University and holds a Professional Engineer License. An avid traveler, Jeff is the first to meet and troubleshoot, taking clients’ challenges head on. Jeff’s long academic and professional background has led him to become a subject matter expert in the field of micronization, often consulting with past, present and future clients. Jeff is interested in technology, his wife’s German cooking, and everything Pittsburgh related. For OEM Inquiries, please fill out the questionnaire. Rick Pottieger is the Vice President of Toll Processing at the Jet Pulverizer Company. In this role, Rick manages the service side of the business, focused on delivering timely, quality products safely back to the customer. His team delivers in the chemical, food and GMP space, constantly pushing for new techniques and technologies in each of these markets. Rick celebrated his 20th year with the company recently, rising through the ranks from the front lines to his current leadership position. Rick holds a B.S. in Mathematics and Computer Science from the United States Coast Guard Academy. After graduation he served in Alaska, Florida and Washington D.C., then worked as a Supervisor for an international freight carrier. These experiences have shaped him to become the team-oriented, goal-focused leader he is today. His team looks after each and every new project, focused on testing, matching or exceeding the clients' expectations. Thanks to his openness and communication, a consultative approach to our tolling division has allowed Jet Pulverizer to develop into a leader in the micronization space. Rick is a big sports fan; he is often shuttling his family to and from sports tournaments, arenas and gyms. He bonds with his team and clients over the ups and downs of the Philadelphia sports scene, often needing their support to make it to “next season”. For Tolling Inquiries, please fill out the questionnaire. Frederic Surville is the Vice President of Sales & Marketing. In this role, he leads Jet Pulverizer's efforts in bringing the message of quality, innovation and customer service to the market. Taking the lead on customer interactions, he is building a team of client focused managers who will strive to represent the best of who we are: a family run business with high integrity who continuously pushes the boundaries of our own capabilities to better serve our clients. Fred is the newest member of the team, having joined in January 2017. After receiving his BA & MS in International Affairs from Florida State University, he developed his technology sales and marketing skills on projects ranging from waste to energy, industrial zero waste initiatives & data center power and cooling. He recently received his MBA from the University of Chicago Booth School of Business. Joe Blatcher is the Processing Manager of the Processing business. 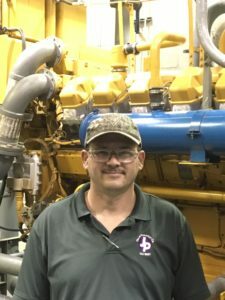 He started at Jet Pulverizer in 2005, working from the ground floor as a material handler and operator to being the point person for scheduling, managing the operations quality, and increasing processing efficiencies. As he raised up the ranks, he embraced taking more leadership roles such as training and customer interaction, and has developed a team of quality and safety focused operators. His mechanical and client facing background allowed him to spearhead positive quality, health & safety and culture initiatives inside the plant. Joe likes to spend his time outside of work with family and friends, biking, hunting and volunteering for a variety of different charities. Amanda Allan is the Quality Manager at The Jet Pulverizer Company. In this role she is responsible for developing, implementing and maintaining our ISO 9001: 2015 &amp; GMP quality systems to ensure regulatory compliance. Amanda will work closely with production, suppliers, customers and auditors to drive continuous improvement and exceed customer expectations. Amanda has a B.S. degree in Biology from Le Moyne College and a MSc in medical science from Drexel University. She has a diverse background in pharmaceutical and industrial quality roles as quality supervisor, continuous improvement project manager, quality engineer, and total quality specialist. 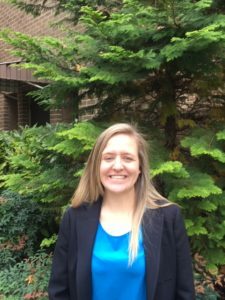 In addition, she is an active member and leader in the Philadelphia chapter of the American Society of Quality and Toastmasters International. Outside of work, she enjoys singing karaoke, learning to play guitar or taking part in the various events in Philadelphia.